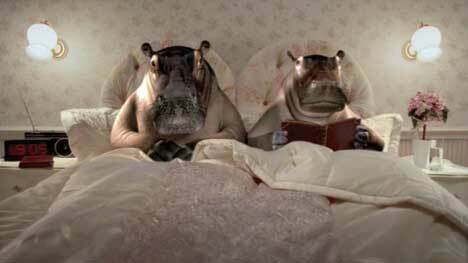 Original Juice Company, a division of Golden Circle, created an amusing TV and web campaign in 2005 with hippos. Jorace and Henrietta the Hippos in bed demonstrate an original fact: hippos can hold their breath for five minutes. In this case it’s under the blankets rather than under water. The Hippos ad introduces another fact: the premium orange juice shown contains no concentrate, no added sugar, and no preservatives. 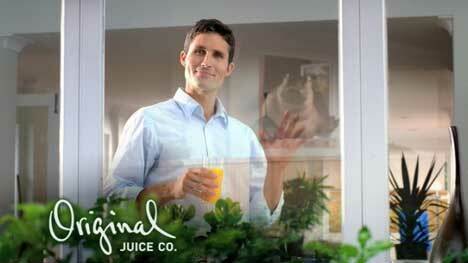 It’s the original fruit juiced. There’s nothing weird going on here. The Hippos campaign was developed at BCM, Brisbane, by creative director Greville Patterson, copywriter Nancy Hartley, art director James Burchill and agency producer Shane Ford. Filming was shot by director Ryan Renshaw via Black Lab, with director of photography Tony Luu. Post Production was done at Post Lounge, by producer Vicki Lee, off-line editor Paul Travers, compositor Steve Tedman, 3D animator Duncan MacDonald, and art director Zenon Kohler.